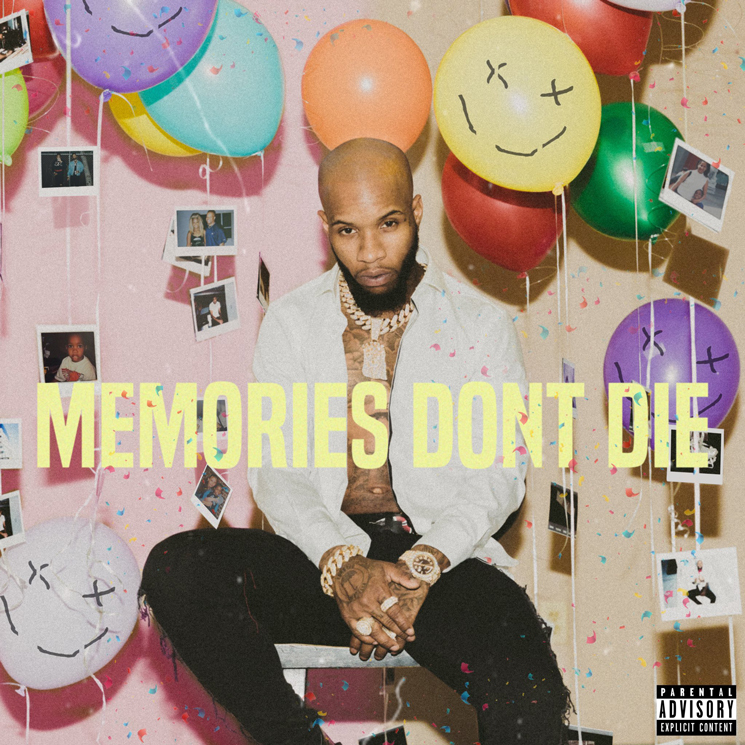 For the last six weeks, Tory Lanez has been virtually counting down the days until the release of Memories Don't Die, building anticipation through his social media, free album release shows and gifted fan phone calls. For his sophomore album, the Grammy-nominated singer presents a body of work that holds a few classic elements and some impressive features — including 50 Cent, Future, Fabolos and Nav — but overall doesn't quite live up to the hype. Introducing the project with a 28-second skit titled "Memories," the new Toronto poster boy starts off strong with the well-balanced "Old Friends x New Foes." Beginning with a light croon that abruptly switches to some pretty solid bars, he leads into "4 Me," a hidden sway-worthy gem that bridges the gap between the hard-hitting "Shooters" and dancehall-inspired "Skrt Skrt." There is no shortage of self-assured, braggadocios rapper behaviour or glaring jabs on Memories Don't Die, where Tory manages to both dish the dirt and stir a number of pots at the same time. An incident at Vancouver's Holt Renfrew (where he tossed down over 30k to spite a judgmental clerk) leads Lanez to addressing Charlamagne tha God on "Benevolent" for labeling him "Donkey of The Day": "Say I took an L, I never miss a win / Big bank next day did that sh*t again." On "Hate To Say," Tory sends obvious shots at Pi'erre Bourne for refusing his request to a "Magnolia" remix, but he balances it out with an apology to Travis Scott for a former beef on the same track. Aw.